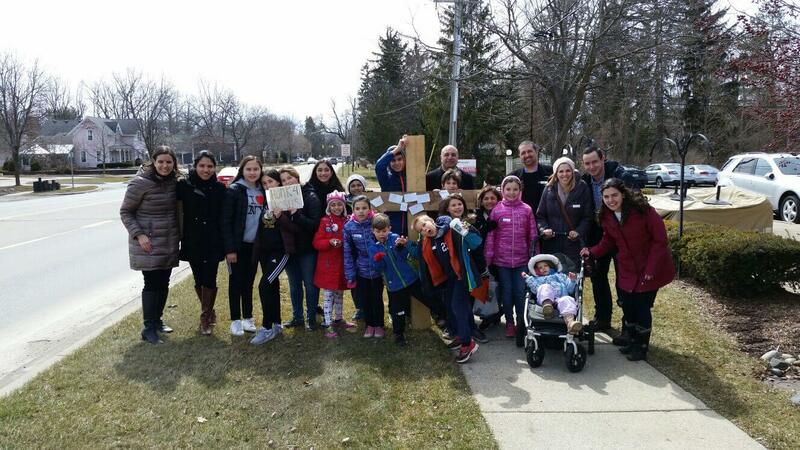 Several Everest families participated in an evangelization mission on Good Friday called a Crosswalk. 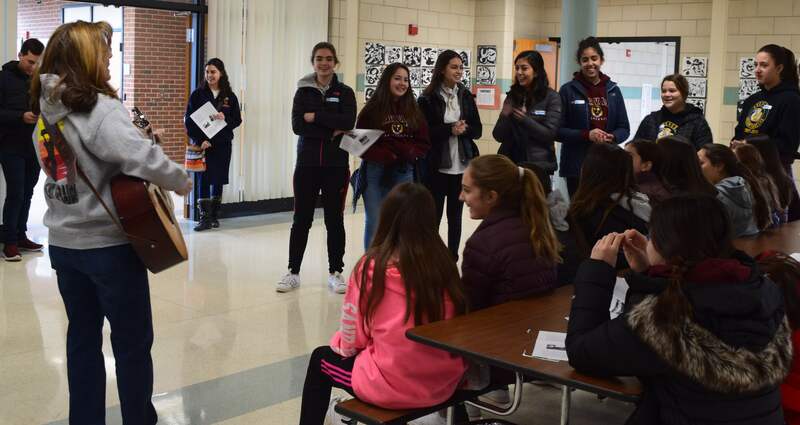 The mission, sponsored by Regnum Christi’s Mission Youth, was an opportunity for families to gather on during the time of our Lord’s Passion to invite others to pray. 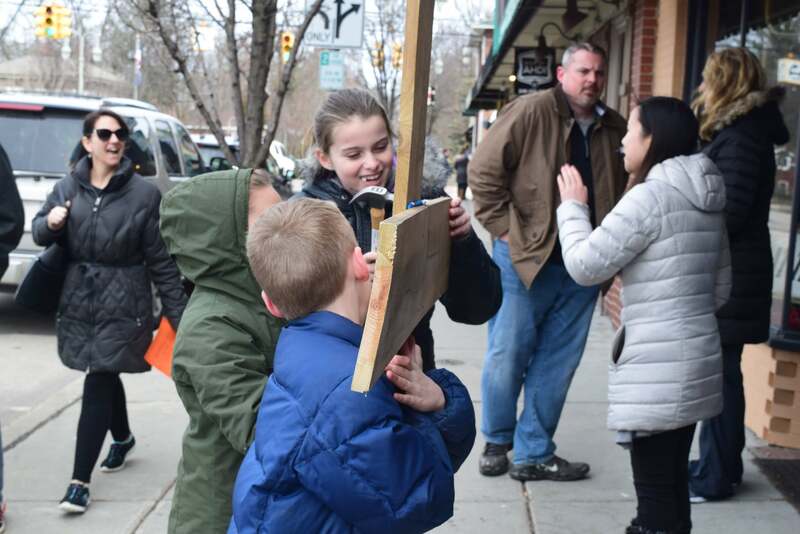 Missionaries stood on the streets of downtown Clarkston with large wooden crosses, reminding passersby of the holy day and asking for prayer intentions, which they wrote on slips of paper and nailed to the cross. These prayer intentions were prayed for during the Good Friday service at St. Daniel’s that afternoon. 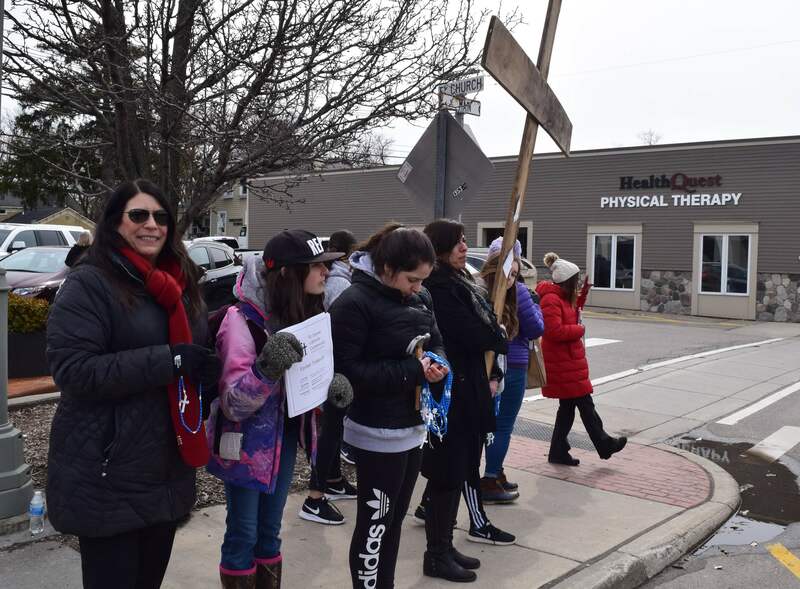 Some groups made “Honk for Jesus” signs which got a lot of positive attention from drivers passing by. Thank you to Everest parent Emily Neiman and consecrated woman Jill Swallow for organizing this family-friendly mission in our community. → Congratulations March Mountaineers of the Month!